To order a 5 gallon pail of this product Click Here. 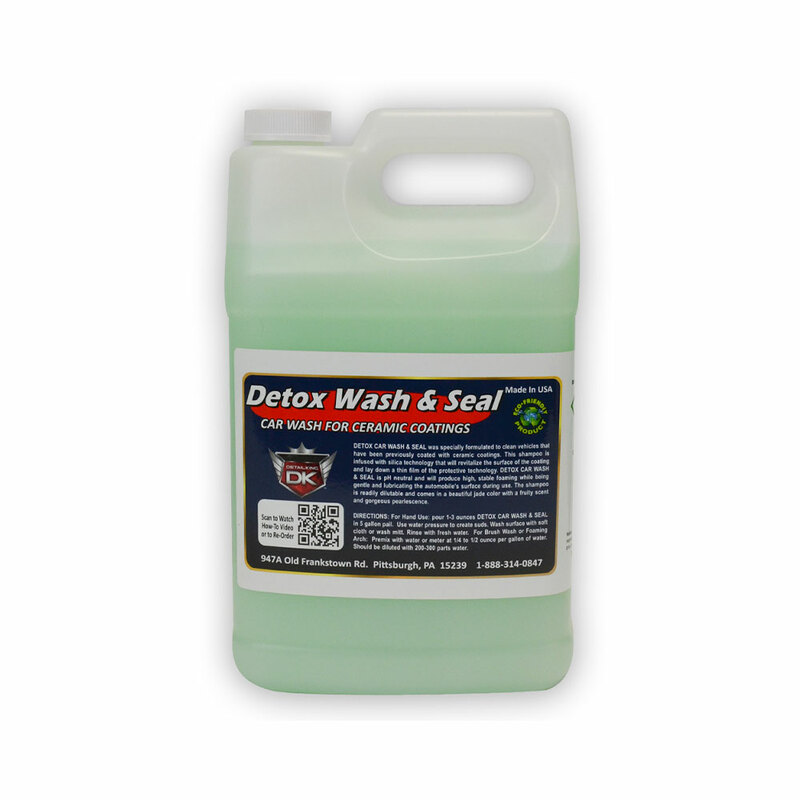 Detox Car Wash & Seal is specially formulated to clean vehicles that have been previously coated with a ceramic coatings like Jade, Optimum, C Quartz and others. This shampoo is infused with silica technology that will revitalize the surface of the coating and lay down a thin invisible film of protective technology. Detox Car Wash & Seal is pH neutral and will produce high, stable foaming while bring gentle and lubricating the automobile’s surfaces during it’s use. This car wash shampoo is readily dilutable and come in a beautiful jade color with a fruity scent. Another Amazing Product From Detail King!